Prom season is here and the race to get the best prom dresses is on.. but don’t worry at Girl Meets Dress we’ve got you covered. We have a wide range of prom dresses from the UK for you to browse through, from knee length and short dresses to floor skimming gowns at Girl Meets Dress you can find the perfect Prom Dress. 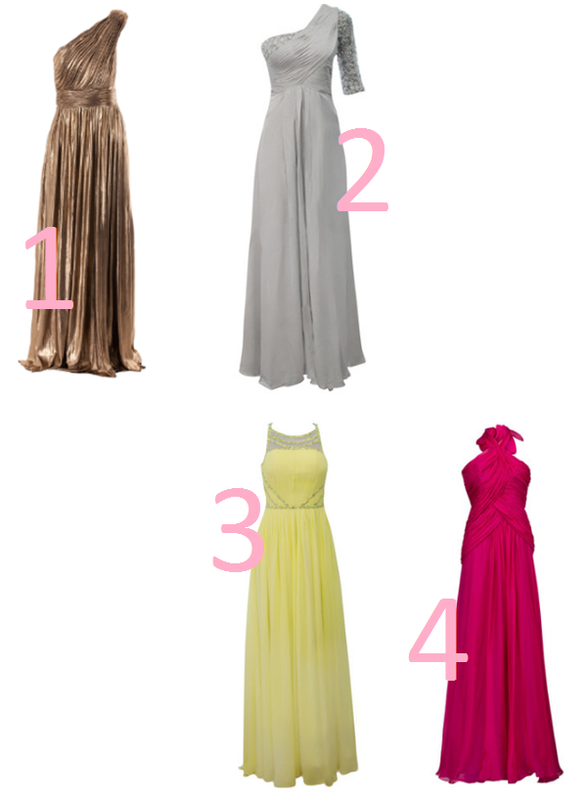 Here are a few of the Girls at GMD HQ’s favourite picks. 1- Diva Sophia Jessica Gold Gown This golden dress is beautiful with its flowing hem and detailed shoulder it would be the perfect dress to sparkle in at your prom. 2- Elliot Claire Jewelled Silver Gown This dress is cool and sophisticated with its pretty detailed design capturing your attention and the delicate waist band creating a lovely silhouette. 3- Elliot Claire Yellow Pleated Gown This pastel yellow shade gown is right on trend for summer 2014 and with its perfectly placed beading it is sure to get you noticed. 4- Ariella Elizabeth Gown This fuchsia gown is every inch fabulous, with its floor skimming fabric and unique twisted design you will be the belle of the ball. Posted May 28th, 2014 in Features. Tagged: Ball dresses, bright dresses, dress with sleeves, Dresses, long dresses, Prom, Prom dresses.